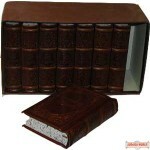 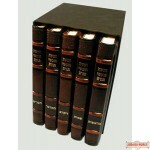 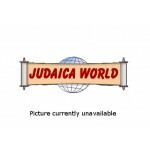 Elegant Leather Bound Hebrew/English Pirkei Avos (Marcus Edition). 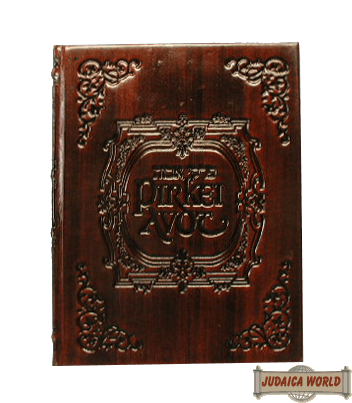 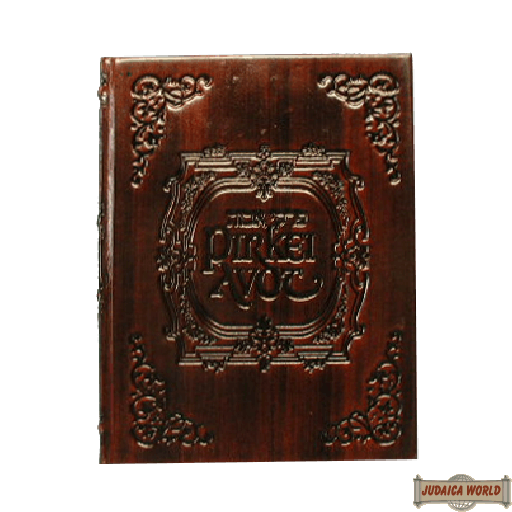 Compiled by well-known author and translator Rabbi Yosef Marcus, and published by the Lubavitch publishing house, Kehot Publication Society, the volume gives the reader a comprehensive and fundamental understanding of Pirkie Avot. 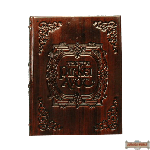 Anthologized from hundreds of commentators, classic to obscure, the commentary is crowned with the insights culled from the voluminous works of the Lubavitcher Rebbe and his predecessors. 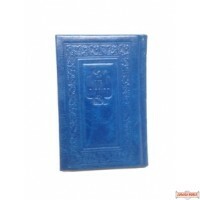 The publishers hope that this volume will contribute to the appreciation of the wisdom of Ethics of the Fathers and its application to modern, daily life.